Spaghetti Squash Fries - Perfect for kids of all ages! 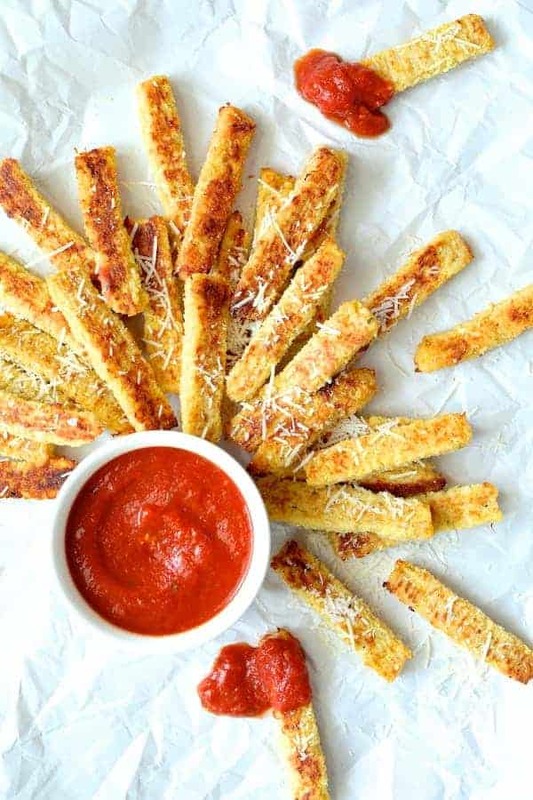 Spaghetti Squash Fries are the perfect snack or side dish for kids of all ages! 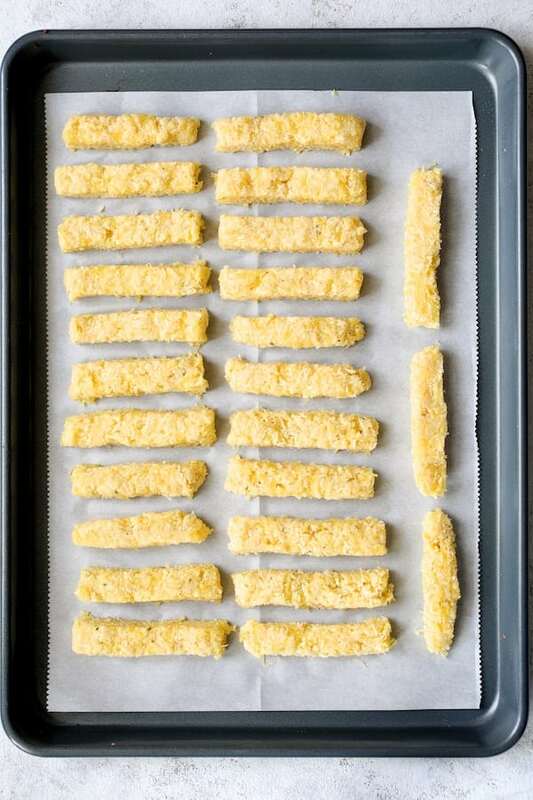 A cooking project you can do with your kids, Spaghetti Squash Fries are simply delicious–and addictive! Hey, all! I have a fun recipe the kids and adults in your household are going to LOVE! Spaghetti Squash Fries! I don’t post “kid-friendly” recipes because, in my not-so-humble opinion, kids should learn to eat real food. Without getting into a “having to walk ten miles to school in a snowstorm” story, my siblings and I either ate what was put in front of us or we went hungry that night. Or, God-forbid, it was waiting for us for breakfast the next morning! 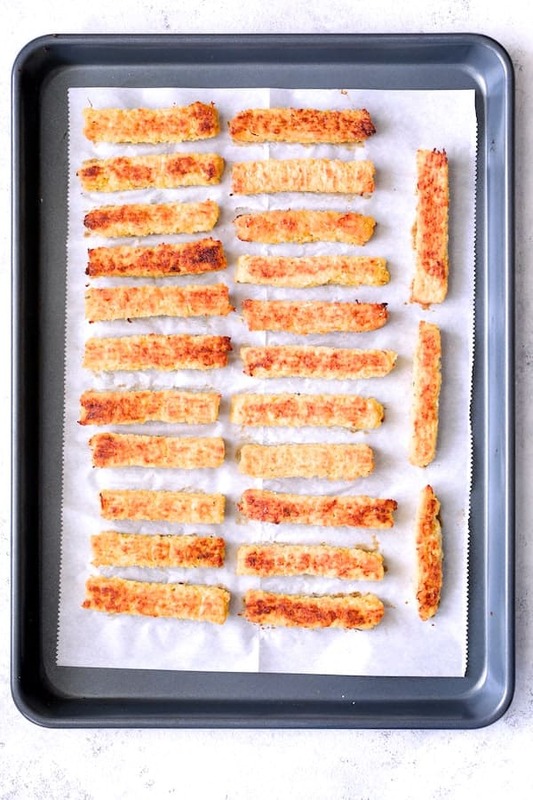 If you’re struggling to get your kids to eat REAL food and get something healthful into them, they’re going to love these Spaghetti Squash Fries! 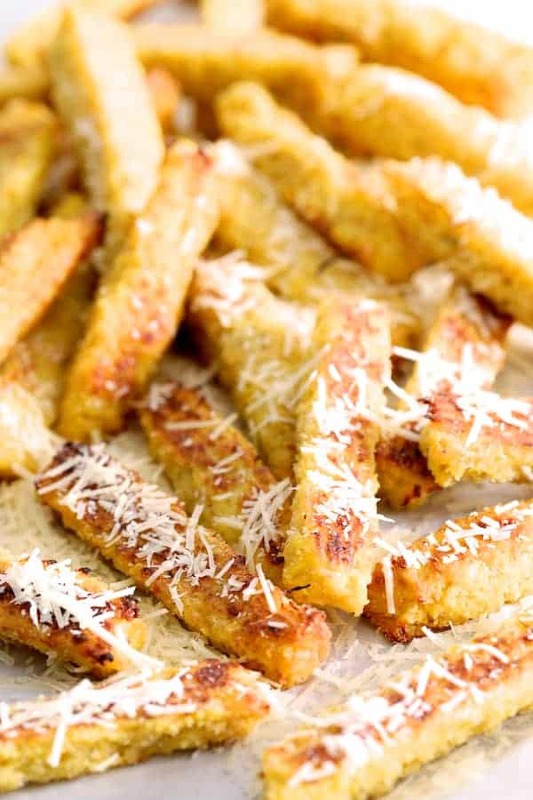 Made with a fun vegetable–Spaghetti Squash Fries are simply delicious–and addictive! There are several steps involved, but this recipe for Spaghetti Squash Fries makes a bunch! They reheat great–getting even crispier when reheated! Cut a large spaghetti squash in half. Roast at 375 degrees until tender. 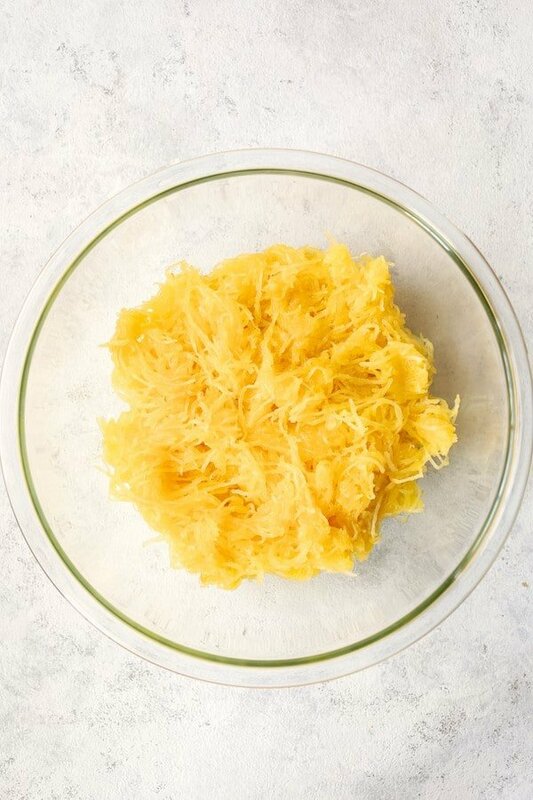 You should end up with 5-6 cups of pulp from a large spaghetti squash. 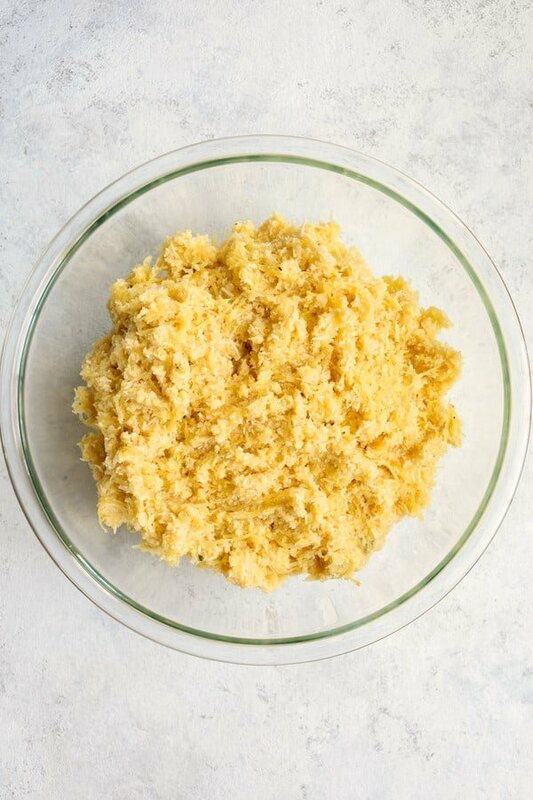 Add 3 cups panko breadcrumbs, 3 cups freshly grated Parmesan cheese and three eggs along with garlic powder, onion powder and a package of ranch salad dressing mix. 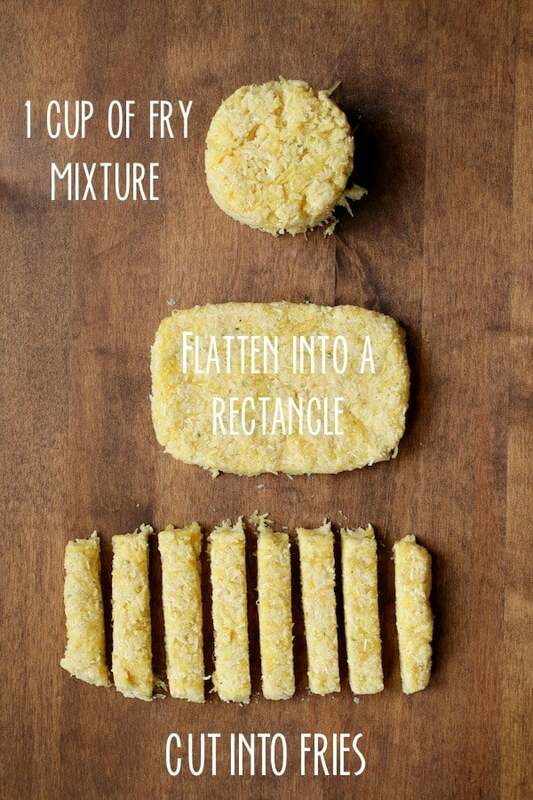 Working with a cup at a time, flatten the mixture into a rectangle and cut into fries! Place on a parchment paper-lined baking sheet. At this point, you can store in the refrigerator up to 24 hours until ready to bake. No need to cover; the dry air in the refrigerator actually does these Spaghetti Squash Fries some good. Bake at 375 degrees for 30 to 40 minutes, turning once. 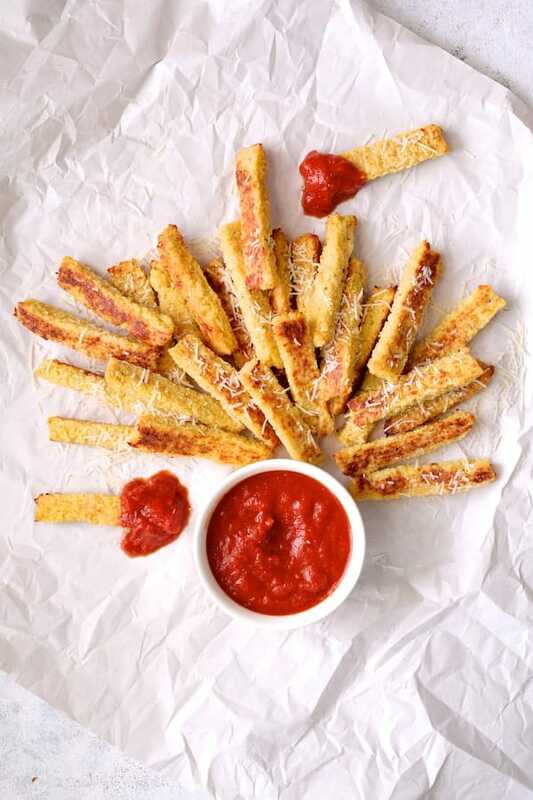 These Spaghetti Squash Fries are then ready to serve with marinara sauce or ketchup! Your family is sooo going to love these Spaghetti Squash Fries! Be sure to get the kids involved in making them, too! 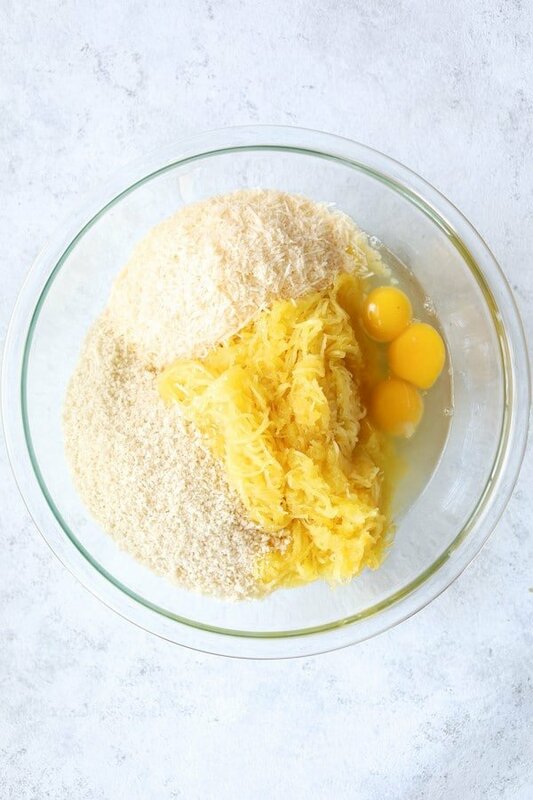 Be sure to try some of my other fun spaghetti squash recipes! 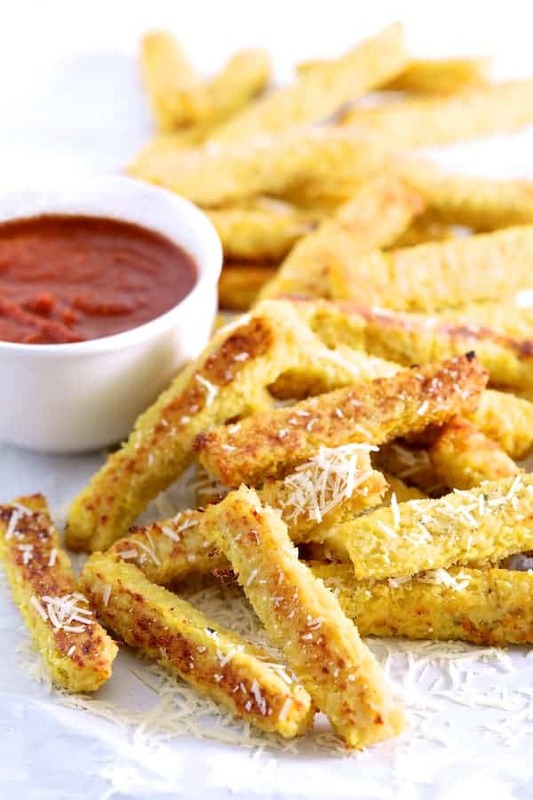 Spaghetti Squash Fries are the perfect snack or side dish for kids of all ages! Preheat oven to 375 degrees. 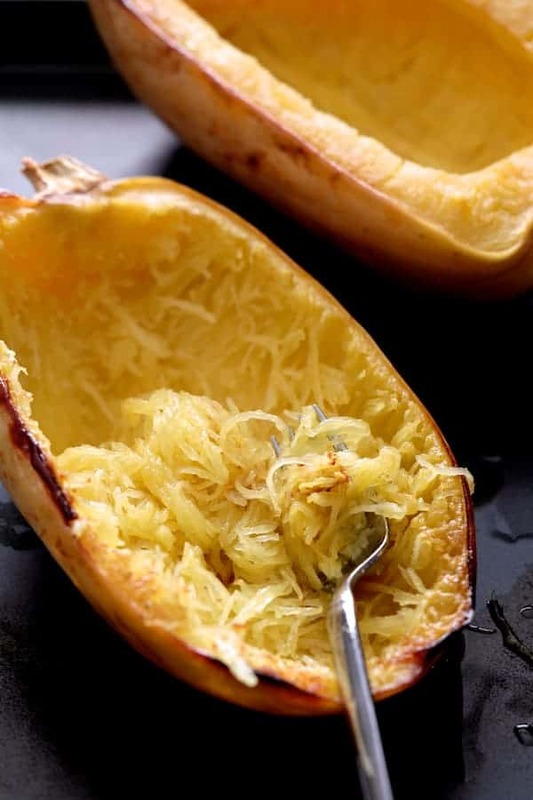 Brush spaghetti squash halves with olive oil and season with salt and black pepper. Place cut-side down on a nonstick baking sheet (alternately, line with nonstick aluminum foil or parchment paper). Roast for 30-40 minutes or until tender and a knife can be easily inserted into the squash. Let cool. Shred the pulp into a large bowl. Add panko, Parmesan cheese, eggs, ranch salad dressing, garlic powder, onion powder and 2 teaspoons salt and 1 teaspoon freshly ground black pepper. Mix well. Working with 1 cup at a time, press the mixture into a rectangle to approximately 1/2-inch thickness. Bake fries at 375 degrees for 30-40 minutes, turning once. Serve with ketchup or marinara sauce. 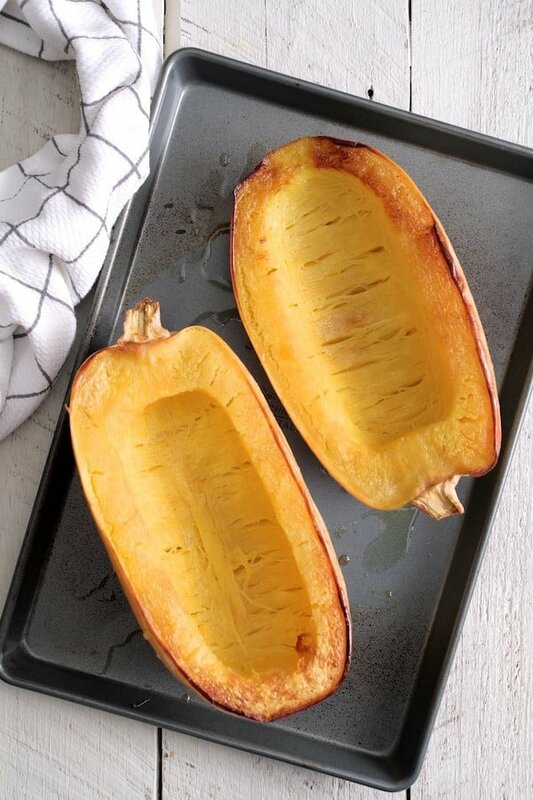 A large squash should yield 5-6 cups of pulp which is the right amount for this recipe. What a fantastic idea! I’ve never thought of making fries this way! They look so tasty I can’t wait to try them! Thanks, Amy! Hope you enjoy! I love this idea! So fun for the holidays and a great way to get a serving of veggies too! Thanks, Kathryn! I’ve served these as a party appetizer and they were a hit. Thanks again!